Google executives are expected to talk about A.I. and machine learning during the Wednesday morning keynote, led by CEO Sundar Pichai. During last year's Google I/O conference, Pichai said the company was moving from a mobile-first to an A.I.-first world, and the company is expected to dive further into that strategy. "[Enterprises] should expect to hear more about how A.I. will impact their technology development path at Google I/O this year, as the company is one of the providers leading development and deployment of A.I. technologies," said Brian Blau, an analyst with market research firm Gartner. "A.I. will help transform aspects of enterprise operations and make them smarter with capabilities that mimic human traits." Blau also said IT managers and business executives should expect to learn more about how Google is using A.I. with customer apps like Google Assistant, or with developer tools that perform tasks such as decoding photos and video into their core meaning. Google is also expected to announce more details about Android O, the next version of its mobile operating system, and about its Chrome OS. It may also have more news about its services for the cloud and the internet of things for the enterprise, although most of the buzz seems to be about A.I. A.I. services and products could speed up, or event automate, decision making for large companies. The technology could be used in the transportation sector, to operate autonomous delivery trucks or drones, or in medicine, to help doctors diagnose patients' illnesses more quickly and accurately. 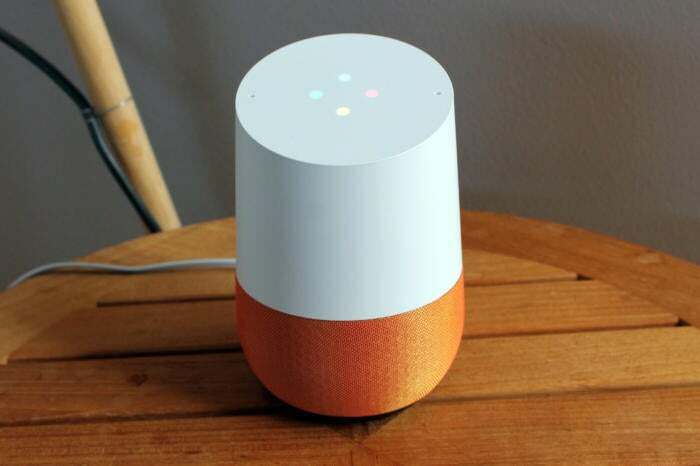 Google Home is a WiFi-connected speaker that's powered by Google Assistant, and answers questions, controls other smart home gadgets, and streams music and Internet radio—among other talents. At the 2016 I/O conference, Google detailed its artificial intelligence strategy, which included taking the wraps off several products; its A.I.-based Google Assistant, the Google Home device, Google's competing device with the Amazon Echo; and the Allo chat app. "Since A.I. is already gaining momentum in the marketplace, I expect Google to blow way past what we know already from other companies who are in the space," said Jeff Kagan, an independent industry analyst. "There is enormous pressure on Google to make some serious announcements for the enterprise. I expect to see Google announce a variety of things on both sides -- consumer and enterprise -- and this will just be the start of another revolution for Google." Patrick Moorhead, an analyst with Moor Insights & Strategy, also is curious about what Google will announce that would interest enterprises. "I'd expect Google to follow Microsoft with customizable A.I. APIs for use in applications," Moorhead said. "I think we should expect Google to explain how it separates consumer A.I. data from enterprise A.I. data. Crossing the streams could be a privacy and security issue." The conference runs Wednesday through Friday at the Shoreline Amphitheatre in Mountain View, California.